Whether at home or in the Centre, our app is your on-the-go mobile shopping assistant. Full of innovative features and timesaving benefits, it's guaranteed to help you get the most out of every visit to any Westfield shopping center. Directly across from the Centre at Powell and Market Streets there is a cable car turn around which serves as the beginning stop for two lines, the Powell-Mason and Powell- Hyde lines. The Powell-Mason line begins at the Powell/ Market turn around, going over Nob Hill and down to Bay Street at Fisherman's Wharf. The Powell-Hyde line also begins at the Powell Market turn around and runs over Nob and Russian hills before ending at Aquatic Park near Ghiradelli Square. Both lines end near Fisherman's Wharf. The historic streetcars traveling Market Street between the Castro and Fisherman’s wharf all stop at our Centre. Taxis are readily available on Mission and Fifth Streets. Amtrak offers bus pick-up and drop-off from the station in Emeryville directly to the Centre. Look for the Amtrak sign on Market Street in front of American Eagle Outfitters. Take the Golden Gate Bridge to the Lombard Exit. Turn right on Van Ness Avenue, left on Eddy to Market Street. From Market Street turn right on 4th Street and then turn right on to Mission Street. Public parking is located at 5th and Mission Street. 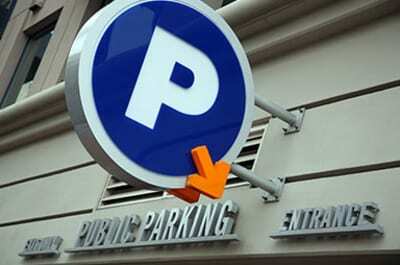 Valet parking is located at 5th and Market Street. Take 101 North to the Seventh Street exit. Turn right on Bryant, then left on 3rd Street. Turn left on to Mission Street. Public parking is located at 5th and Mission street. Valet parking is located at 5th and Market Street. Take Highway 80 (Bay Bridge) to the Fifth Street/Downtown exit to Market Street. Turn right on to Market Street. From Market Street turn right on 4th Street and then turn right on to Mission Street. Public parking is located at 5th and Mission Street. Valet parking is located at 5th and Market Street. 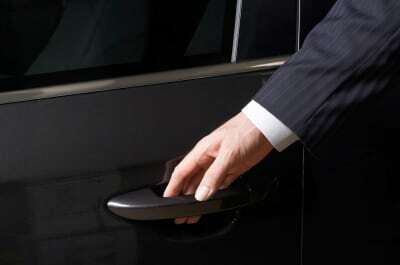 Professional valet service is available on Fifth Street operated by Priority Parking. Please visit Valet Parking for details & rates. The Ellis O'Farrell garage off Ellis Street in between Powell and Stockton. Secure bicycle parking is available at the 5th and Mission Yerba Buena Garage. Westfield San Francisco Centre offers the ability for guests to get here using Uber. Our Uber pick-up, drop-off location is located outside of the Bloomingdale's and Century San Francisco Centre 9 entrance on Mission St. Contact the Westfield Concierge Team for assistance in downloading ridesharing apps, which let you request a ride with the touch of a button.